This is a FREE event, however, we will receive a love-offering and give all proceeds to First Baptist Church in Sutherland Springs, Texas. You may actually give now by making a donation and reserving you a seat. Click here to donate and reserve your seat. If you make a donation of any amount of your choice, you will be guaranteed a seat. This page is not yet fully completed - please check back often for more details on this special service. There will probably be two services (January 14 AND January 15). The January 15 location has not yet been determined. The first service is in Hurst, Texas - January 14 (confirmed). 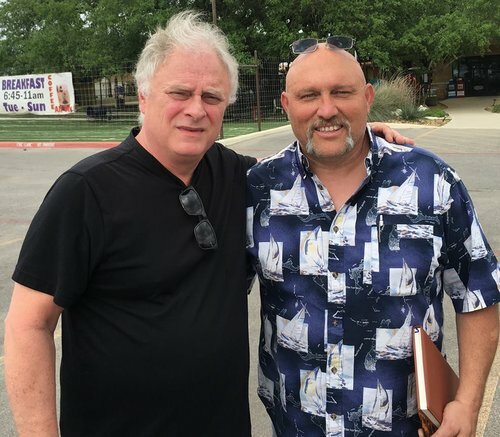 Kris Workman, the song leader at First Baptist in Sutherland Springs, Texas - who was shot 8 times - will lead the music at both services. PASTOR OF TEXAS CHURCH WHERE 26 WERE MURDERED WILL BE WITH US. Pastor Frank Pomeroy (holding notebook in photo) will also be with us at this special service. 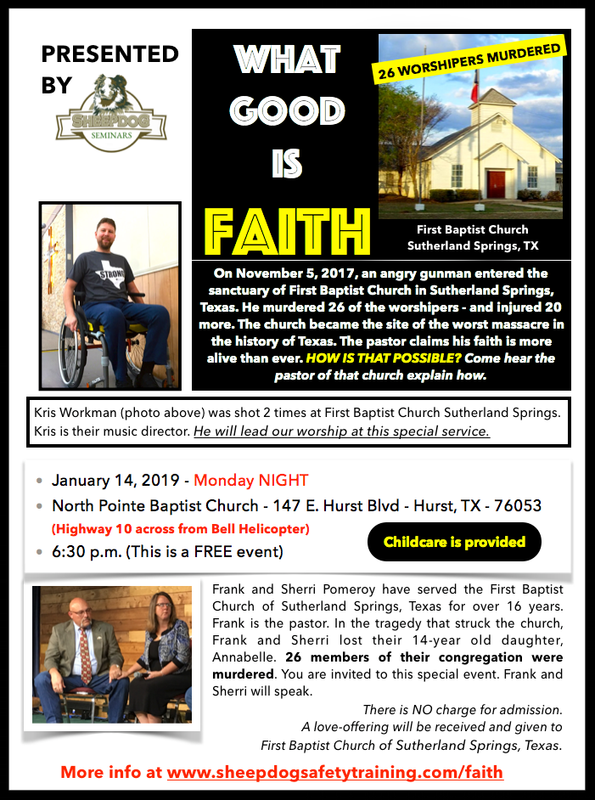 Pastor Frank serves at First Baptist Church in Sutherland Springs, Texas; where last November an angry gunman entered and shot and killed 26 worshipers (and injured 20 more). Kris Workman, (photo) was left paralyzed after being shot in the Sutherland Springs church shooting, but he refuses to let his injury define his future. Kris will lead the music at these special services.